Debt Free, Cashed Up and Laughing - The Cheapskates way to living the good life: Spice House v Supermarket - Why Pay 900 Per Cent More? Spice House v Supermarket - Why Pay 900 Per Cent More? Most of us buy our spices at the supermarket and don't really think about where they came from or if they're high quality. But the truth is, while these spices are fine, you might be missing out on a real flavour explosion by not learning more about where your spices come from, and how to buy the most flavourful and pure spices you can get. You probably didn't know that even in Australia you can find spice houses. But, if you don't have a spice house near you, you can use the Internet to its great advantage and find the best sources for the spices you love most. 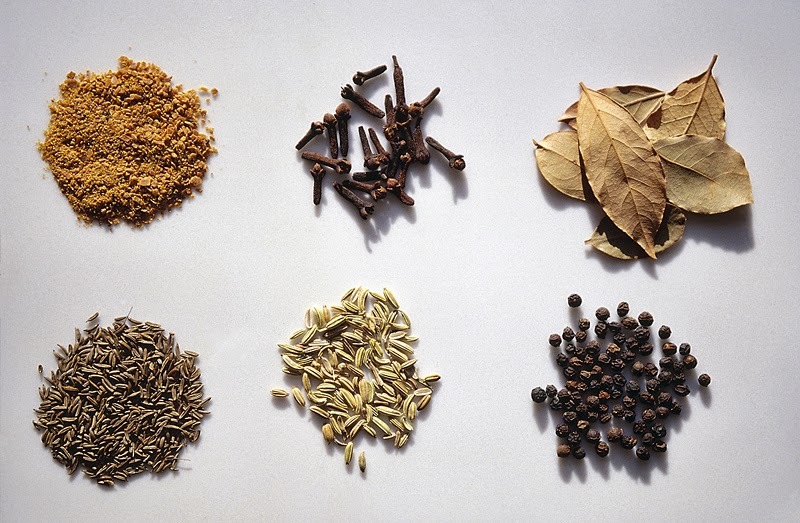 The first tip to buying spices is to start with just a few. Start with what you already know you love, and find the very best source that you can for that particular spice. Once you perfect the spices you already use, then you will want to start branching out to new discoveries. Nothing is more pleasurable than smelling, tasting and experiencing new spices once you've found a good source for the best quality that exists. Usually supermarket spices, unfortunately, aren't fresh. They stay on the shelves a very long time before someone buys them, and they're not the best quality to start with. Spices don't last more than six months once packaged so if you don't like a spice, it might be due to the quality you've bought. It's important to buy your spices at ethnic markets, spice merchants, or via online sources if you can't get them locally. Once you've chosen your source, then you can be sure of the quality. Supermarket prices for herbs and spices are outrageous and up to 1,000 per cent more than you'll pay at a specialist spice house. Prices between The Saucy Spice Co and Hindustan Imports vary by a few cents. I choose which one to order from based on the size of my order. Obviously if I am stocking up and combining orders with friends then Hindustan with the free delivery is the better choice. Otherwise the flat delivery fee offered by The Saucy Spice Co wins. If you're not convinced check these prices for cinnamon, a common spice used in so many sweet and savoury dishes. As a Cheapskate cook, I do not waste my money buying herbs and spices from the supermarket. If you buy spices whole and unadulterated and grind them yourself, they'll last longer, and you'll experience the maximum flavour the spice has to offer. Believe it or not, oftentimes ground spices are contaminated with other things even though the label doesn't say so. But with whole spices you get what it says it is, and only that. Purchasing whole spices from a quality source means you're getting the best product you can afford that will enhance your cooking exponentially. You can use a mortar and pestle to grind your spices or an electric spice grinder. When you buy whole spices, remember they don't last forever, buy a small amount at a time based on how much you think you'll use in a six month period. Most home cooks do not need to buy bulk spices, tempting though the price may be. Most home cooks need very small amounts of spices. When you cook Cheapskates style you may use more herbs and spices than the average home cook so buying in bulk, or at least larger than the 50g available in supermarkets, makes sense. This is when buying direct from a specialist spice house will save money, but you'll also know that your spices are as fresh as possible. How many times have you cooked a Christmas cake or a special dinner using last year's spices? Probably often, and the sad fact is, if you used fresher spices your food would taste so much better. Treat your spices like you treat your favourite perfume. Keep them dry in air-tight jars, in a cool, dark cupboard. Just like your perfume, light, heat and humidity are the enemy of spices too. I was at Hindustan Imports yesterday. They are so well priced. I'll NEVER buy from the supermarket again. Very interesting, thanks Cath! Love learning about these places to shop that I never would have thought of myself. I have never been to or purchased from a spice house. Can't wait to look for a good one in the Brissie area and check it out! Great article about spices. I am in Sydney and would love to find the same quality somewhere around to buy from. In Sydney I've heard that Green Valley Spices http://www.greenvalleyspices.com are great. No idea where they are - visit their website and have a look around and compare prices. I just went to the Sydney website - and believe it or not, I can smell the spices from here. Wonderful. Will be looking into this shop more thoroughly tomorrow. Thank you.